Today I’m sharing the last video in my Chai Chats series with Tea India, and it’s all about making the perfect cup of chai! This has been such a fun experience. I got to be in front of the camera (something I loved and hated at the same time), share my thoughts on culture and food, and most importantly create another memory around chai. So many of my best and most vivid memories include chai. I can remember the first time I was given the all important job of making chai for guests; it was a proud moment. Many rainy afternoons have been spent with the comfort of a warm cup and a Bollywood flick, and so many amazing conversations happened around the coffee table (ironic right?) at my parents house while we were drinking chai. 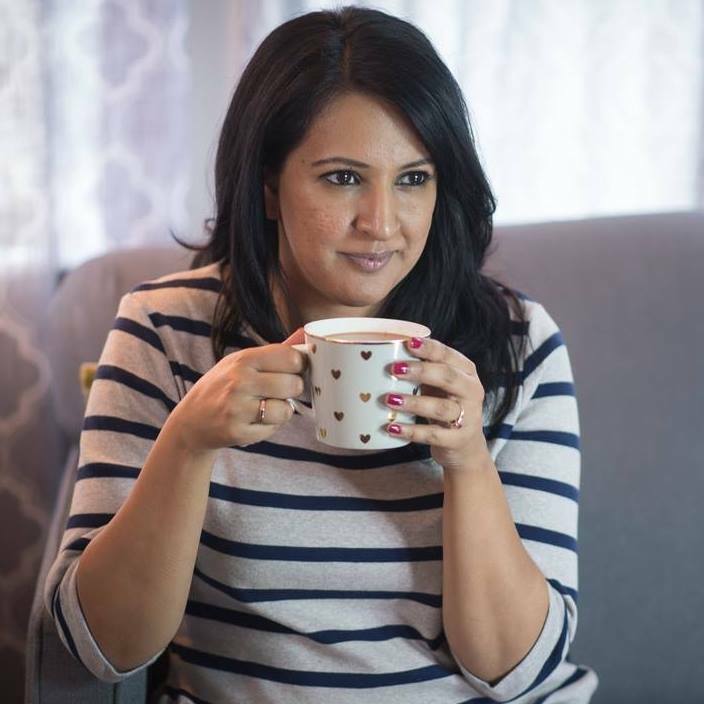 Without a doubt though, my most treasured chai moment is the one I don’t remember; the one that introduced me to my favourite flavour of all time – the one when my Papa (Nana/Grandfather) introduced me to chai. According to my mom, I was just learning to walk when grandparents came to Canada in 1981. They would leave their cup of chai on the edge of the table, and I would pull myself up enamored by this new ‘toy’. Eventually I started to lick the rim of the cup (my grandparents made very sweet chai so it was a good reward). It seems, my love affair with chai began well before my second birthday! After that, I graduated to ‘cha-dhood’ – a little bit of tea topped up with a healthy dose of milk. Over the years, chai become my thing. I am the official chai-maker of the family. Whether there is a wedding, akhand path, or just guests coming over, I’ve always assumed my position at the stove and taken pride in serving the perfect cup of chai. Last week I made many cups of chai for visitors that came to mourn my Papa after his death on November 22nd. There are so many things I will miss about my Papa, but perhaps nothing more than his compliments. 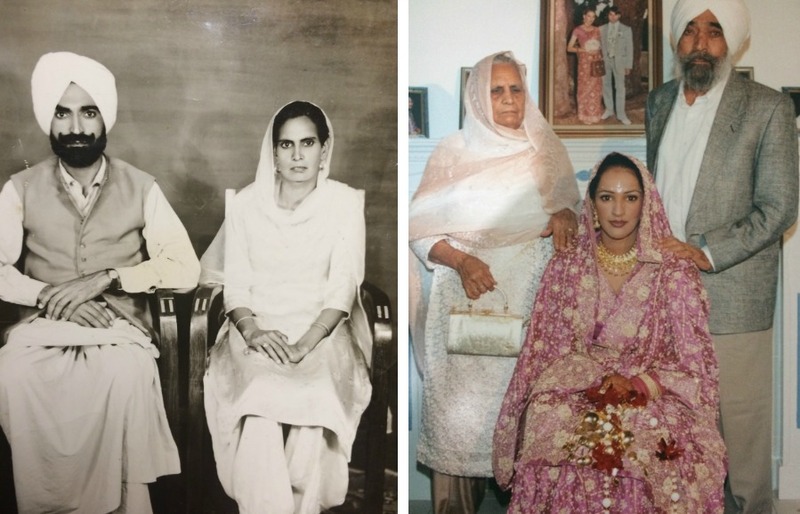 He was my number one fan, and always had good things to say about me – and the chai I made. Thank you for reading about my experiences, my thoughts, and my memories of my Papa during this journey of Chai Chats. I think it’s only fitting that I share my recipe for the perfect cup of chai with you today in this last video. Yes, you need to add the right spices, and just the right amount of milk, but more than anything the secret to a perfect cup of chai is who you share it with. There is nothing like sharing a chai moment with someone you love. This video was brought to you by Tea India. You can connect with Tea India on Facebook, Twitter, or Instagram to learn more about their Chai Moments products, or visit them on the web. Thank you for supporting the brands that support Pink Chai Living. Can Washing Dishes be Zen? Holy crap. You were MEANT FOR THE camera!